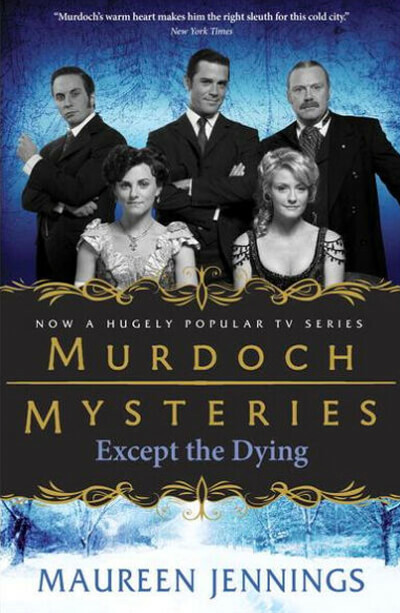 Except The Dying introduces TV audiences to Detective Murdoch (Outerbridge), a principled young man who uses his innate abilities to sift through the crime scene in order to solve the mystery of a poor “woman of the street.” When Toronto police find the body of a young woman in a back lane, Murdoch’s superior, Inspector Brackenreid (Meaney) is quick to dismiss the incident as an accidental death. However, Murdoch soon discovers her death was far more sinister. The victim was the housemaid of a wealthy and very prominent Toronto family. The stakes are raised when Murdoch determines she was pregnant and had opium in her system. With the help of coroner Dr. Julia Ogden (Hawes), Murdoch is able to piece together all the evidence needed to reveal the killer’s identity.